How to stop squeaky shoes are a cause of great concern for you as well as others. You will want to address the issue so that you can walk comfortably and it will not be noticed by others. There are various reasons which attribute to the squeaking noise. You might want to deal with the regular wear and tear as well as manufacturing issues. If there is any manufacturing defect, it will be addressed by the manufacturer. In some cases, the moisture trapped inside shoes will also lead to the squeaky noise. If there are internal issues, they should be addressed by an expert. If the insole rubs against the inside of your shoe, squeaking noise will be produced. By spreading a thin layer of petroleum jelly or lotion, the parts will not rub against each other. There are many t﻿ips and tricks which are shared by experts. The best method can be chosen so that there will not be any damage to your shoes and there will be a great improvement in the appearance of shoes as well. In some cases, the shoe laces will also contribute towards the squeaking noise. When laces rub against each other, there will be noise with each step. There are various reasons that produce squeaking noise in shoes. Shoes are made with different kinds of materials. The design varies from one brand to another brand. You should want to choose the most appropriate shoes as per the occasion. If there are simple issues, they can be handled by you directly. The complex issues should be handled by the manufacturer or the shoe mending person. Hardened soles will produce noise. By using a sand paper, the bottom of the shoe can be softened and there will be a great success. You should also examine shoes very carefully. If there is a gap, the soles will come off and the noise will be produced. After applying the glue, you will want to hold the upper part and the lower part together so that the bonding will take in a very efficient manner. You should identify the exact issue so that the best fix can be arranged. As soon as you identify the location, you should spray baking powder or corn starch. You can also apply baby powder as the noise will be eliminated in a very efficient way. If there is noise inside the shoe, you should want to spray the powder inside the insole. The powder should be sprinkled along the inner seam. If you are wearing non-removable insoles, the powder should be rubbed at the edge of the base. If there is squeak in the tongue of the shoe, you should apply powder to the tongue. There will be squeaking noise when there are air cushions in the base. You should massage the powder into the base so that the seam and the air bubble will not cause any squeaking noise. You should not use oil-based materials as the nap might be destroyed. Instead of using leather conditioner, you can use silicone spray or WD40 so that the squeaking noise will be eliminated in the best possible way. However, the application should be done in a very careful manner. Lubricants can be sprayed on a cotton swab, and it can be rubbed into the outside seam of the shoe. You can work on the squeaky area or the entire area as per your needs. If you are using leather shoes, leather conditioner can be used to eliminate the squeaky noise very efficiently. However, you should go for suede conditioner, and you should not go for general purpose conditioner. Instead of experimenting the expensive shoes, you can take them to the shoe repair shop so that the issue will be fixed by professionals in a very efficient manner. Before attempting to correct the squeaky noise issue, you should find out the warranty offered by the manufacturer. If there is a manufacturing defect, you will be eligible for a refund. By using thick materials, the warranty on the product will be lost. By using saddle soap, the squeaking noise produced from leather shoes can be eliminated. Saddle soap can be applied in small quantities and the shoe should be allowed to dry by using a dry cloth. For squeaky tongues, you can apply this technique. If there is loose shank inside the shoe, it can be corrected by taking it to the shoe repair shop. Most of the shoes will produce squeaky noise when they are wet. In some cases, the sole will make a noise, and it cannot be avoided. 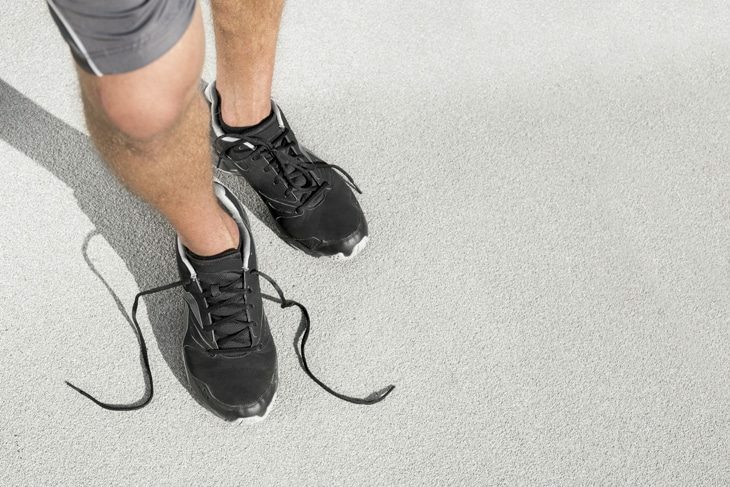 If the rubber soles fall on hardwood or linoleum surface, there will be squeaking noise. After trying various methods to address the squeaky noise, you should dry them quickly. Prolonged exposure to sunlight or excessive drying will damage your shoes. To speed up the drying process, the insoles should be removed and dried. They should be dried separately so that best results are achieved. The shoes should be stuffed with newspaper. It should be pressed tightly so that the newspaper will touch the toes and the moisture will be absorbed in a very efficient manner. You can maintain the shape of the shoe by using cedar shoe tree. When the shoe is being dried, you will want to use the shoe tree. The moisture from the shoes will be absorbed by the wick very efficiently. You should leave your room at the room temperature. They should not be left in an area where there is some kind of heat source. You will not want to feel self-conscious when you deal with perfectly conditioned shoes. If there is squeaking noise, it can be arrested in the best possible way. There are some shoes which come with removable soles. If no removable sole is present, you can apply the talcum powder or baby powder under the inner sole. The moisture will be absorbed by the unit and there will be great change in the functionality. If you are unable to mend your shoes, you should not hesitate to take them to the professional.